Anyone who is the least bit familiar with They Might Be Giants and their eccentric musical style will not be surprised to hear that they are teaming up with The Global Fund For Children and Emily Oberman of Petagram NY to create a video for an extended version of “Alphabet of Nations” using photos from fans from across the globe. Since the release of their first family-oriented album, No!, in 2002, They Might Be Giants has been focusing more on the children’s music market with great success and joyous praises from their gigantic fan base. Staying on their path of creating instant classics for kids of all ages, They Might Be Giants released a new deluxe edition re-issue of No!, which contains the bonus extended version of “Alphabet of Nations,” on Idlewild Recordings on June 26th to celebrate the album’s 10-year anniversary. To participate in the creation of the new video, residents of countries named in the song need to take three photos: a portrait, their country’s flag, and an image that represents their culture. 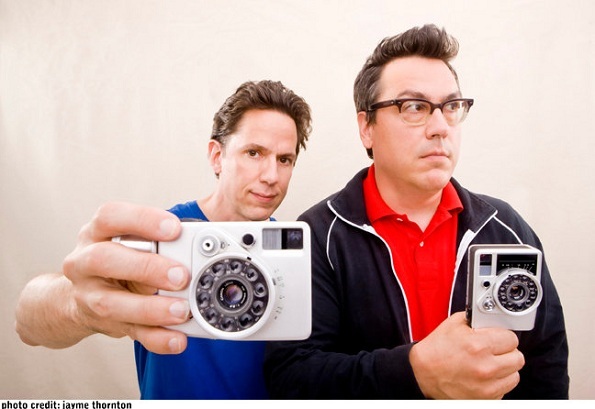 Then, the photos need to be posted on Twitter @replying them (@tmbg) with the hashtag #TMBGnation or on the band’s Tumblr. Submissions are due by August 1st. For more details, check out TMBG’s call-to-action video below. Also, be sure to read the detailed content associated with the video. Have fun!